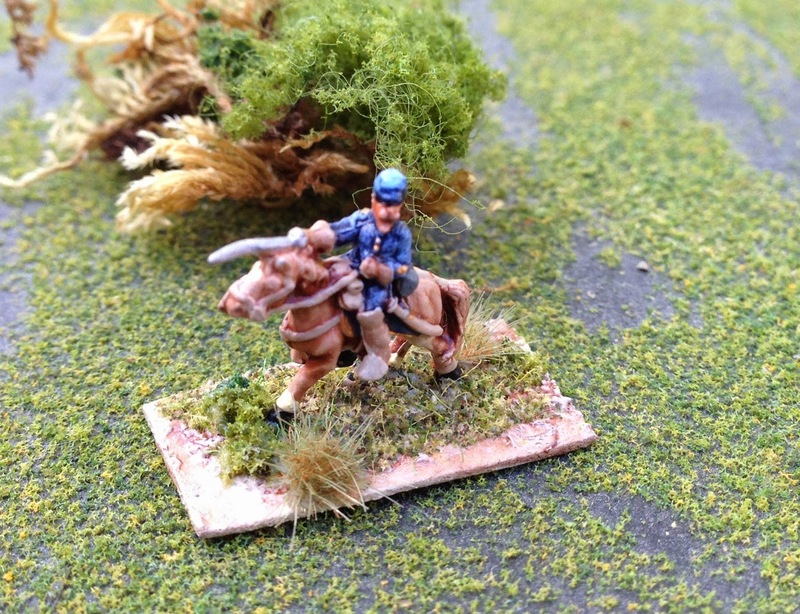 Cigar Box Heroes: Some more ACW! Well, my pots of grey and blue paint are running low! I've been painting ACW for a a while now and there is no end in sight.... well, actually maybe after Nashcon at the end of May I'll be able to take a break. At the moment I'm adding a few more units for a Shiloh game I'm running with John Hill to promote his new rules "Across A Deadly Field". I'm painting a 25mm Frontier Figures CSA infantry unit (17th AL) and I also ordered some Sash and Saber figures (mounted officers and the 14th Brooklyn). The castings are wonderful and I'll post some pics of those figures as soon as I'm finished. Here are some pics of the odds and ends I've been painting. 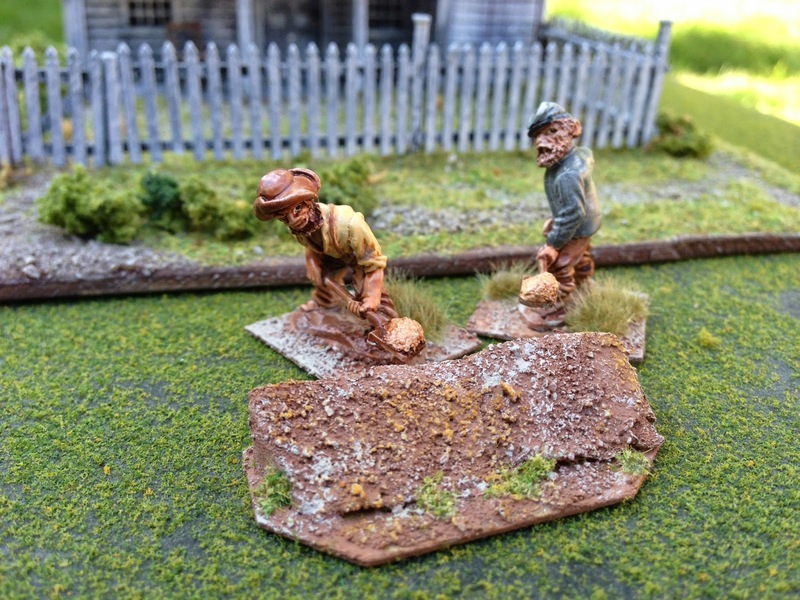 Some Union engineers start on some entrenchments. Well, one man is working and the other is "supervising". 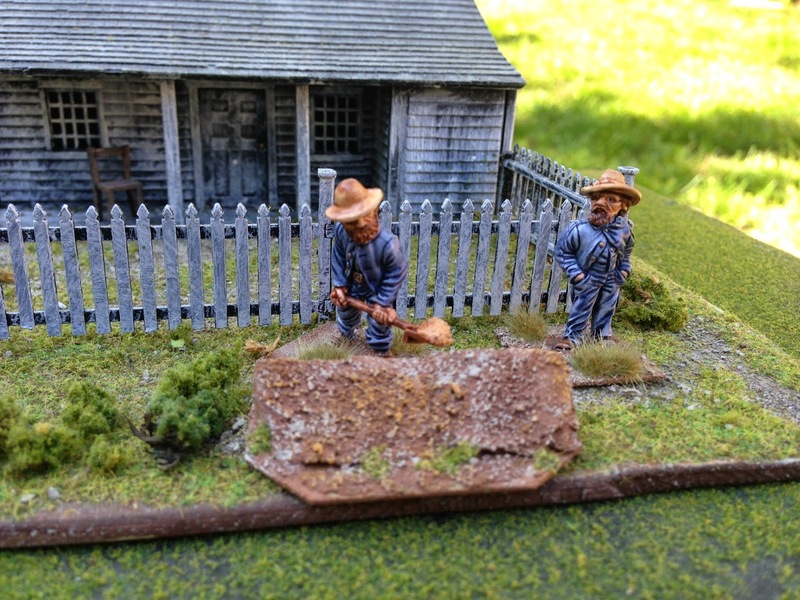 Some CSA engineers start on some works in front of an old farmhouse. A 10mm USA officer. I'm simultaneously working on a 10mm Shiloh project! Excellent work, I especially love the diggers! Fresh off the painting table!